The Round Two Men’s SBL Player of the Week has been awarded to Justin King of the Bethanie Stirling Senators. The signing of King is proving to be a master stroke by coach Mike Ellis, as he has now earned himself consecutive POTW honours to begin the season. 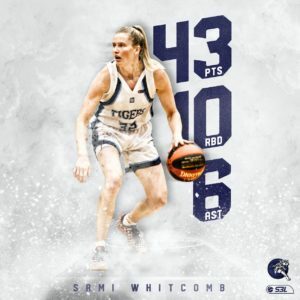 King and Senators managed to hold off the dangerous Willetton Tigers in a high scoring contest, 120-111. King’s brilliance was displayed across the board, ending with 37 points, 10 rebounds, 5 assists and 2 steals. 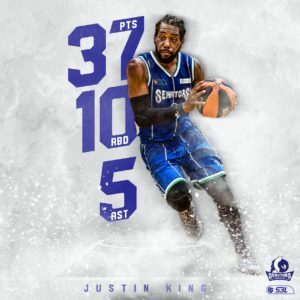 King is now the leading scorer in the Men’s SBL, averaging 31.3ppg and 3rd in average steals. Media is originally from the SBL News Hub.